The Victorian property is located in a beautiful crescent within walking distance of Princes Street, Edinburgh Castle, The Edinburgh International Conference Centre and the Theatres and Galleries of this most wonderful of Capital Cities. Situated in the city centre of Edinburgh, the Cruachan Guest House is only minutes from Edinburgh Castle, the Edinburgh International Conference Centre (EICC), numerous theatres and the renowned Princes Street. Menzies Guesthouse is located in the heart of the city of Edinburgh. The Menzies Guesthouse is only a short walk away from Princes Street, Edinburgh Castle, King's Theatre and all main attractions. 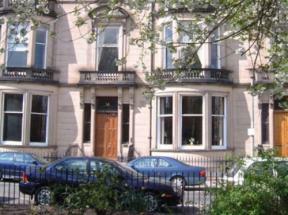 Friendly Victorian house, close to Arthur's Seat, Royal Swimming Pool, University Campus. 20 min to walk to the City Centre. The price includes a continental breakfast, served in the room!